Mamma heard the rumour that Aquarena is SUPER busy on a hot day - imagine an ants nest that has just been stood on. So why not test it out on a 36º day? Mamma loves a challenge! In reality - yep - busy BUT there was PLENTY of space, especially for the preschoolers. The outdoor toddler pool swings into full operation after 10:30am when temperatures reach 26º and we had the space to ourselves. The pool zone divided into thirds is shaded and has a great view of the whole outdoor area. But there are so many aquatic adventures to be had at Aquarena. 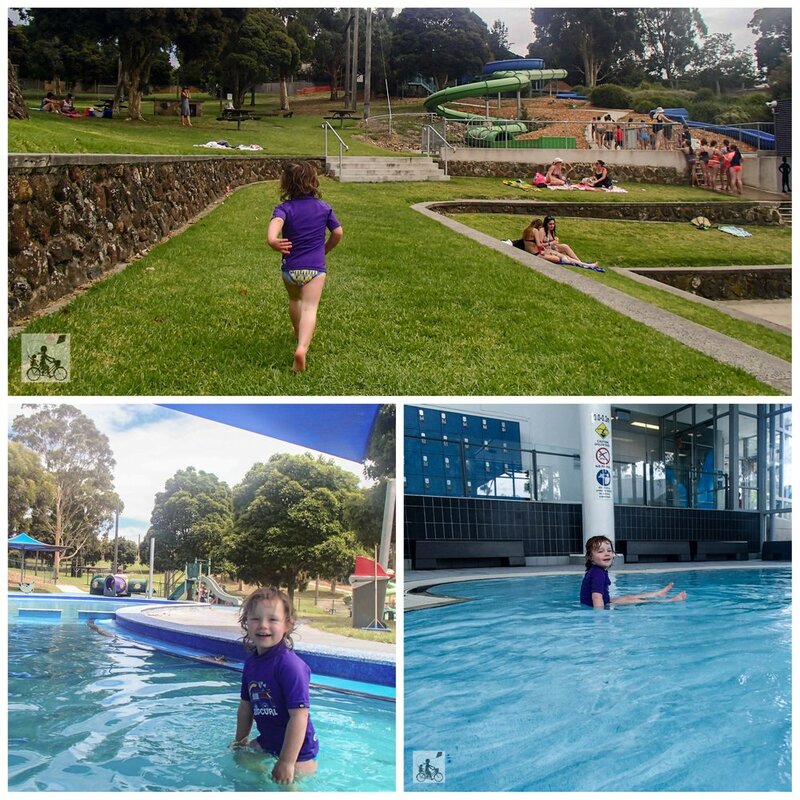 Outdoor diving boards, olympic length outdoor pool, double water slides and a water splash park! This water play zone is awesome. Stand under the shower sprayers, swing the water cannons and run through the spray. Little ones may be hesitant at first - especially under the tipping buckets - but the fun will soon take over. Then inside 4 separate swimming zones including a fenced toddler pool with nice beach-style slop. You could easily spend the entire day here hopping from pool to pool, to playground to splash zone. Mamma's special mention: We love water play. 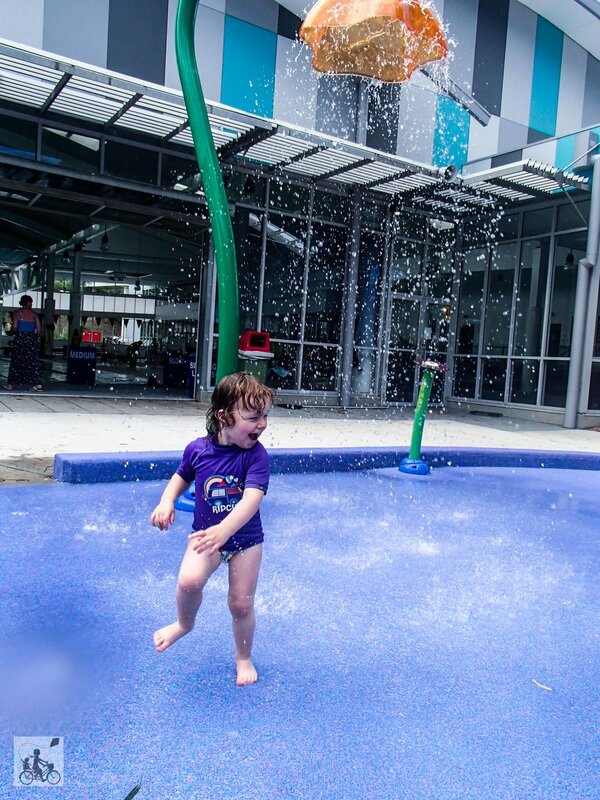 For more options on where to cool down head to Mamma’s water play in the east. Toddler pool, diving boards and waterslides operate on warm weather policy and during particular times - click here to plan your visit!